(English) Our memory is a more perfect world than the universe: it restores life to those who no longer exist. (Español) Nuestra memoria es un mundo más perfecto que el universo: le devuelve la vida a los que ya no estan. (Finnish) Meidän muistomme ovat maailmankaikkeutta täydellisempi maailma - se palauttaa elämän niille, joita ei enää ole. (Italiano) La nostra memoria è un mondo meraviglioso perchè rende alla vita ciò che non esiste più. (Nederlands) Ons geheugen is een perfecte wereld meer is dan het heelal: Het geeft weer leven aan hen die niet meer bestaan. (Português) Nossa memória é um mundo mais perfeito do que o universo: ela devolve a vida àquilo que não existe mais. (Deutsch *) Es sind die Begegnungen mit Menschen, die das Leben lebenswert machen. Jonas loved to read the Guinness Book of World Records and he was amazingly good in remembering things from the books. Jonas also loved fishing, these were often the times that he got to spend "dad-time" without the sisters, just Jonas and dad. The most important hobby for Jonas was Finnish baseball. Jonas was a resilient fighter who did not let the challenges and hardship caused by his illness hinder or slow him down. Jonas lived his life to the full and continued to be positive up till the very end. Jonas was natural and he loved to be around people, he was also spontaneous, he could walk over and just give you a hug at any moment. We will cherish his memory in our hearts forever. "Combati obom combate, encerrei a carreira, guardei a fé"
"Querido Deus graças te dou por me ouvir e me guardar"
Born on July 17, 2011 in New Jersey, Skyla traveled at age 3 to Disney World through The Make A Wish Foundation, to which the parents direct memorial donations made in Skyla's name. She loved to watch the Minnie Mouse Club House. Skyla's favorite color was purple and she loved balloons and bracelets. Skyla was always excited to see the snow and loved to play in it. Holly is our beautiful daughter. 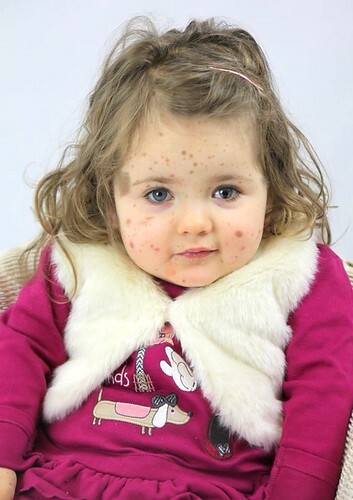 She was born with a condition called Congenital Melanocytic Naevus Syndrome which is characterized by the presence of 'moles/birthmarks'. Because of this condition, Holly was a high risk of developing melanoma - and this is what happened. It is such a rare and aggressive melanoma that there is currently no effective treatment and, sadly, our baby girl gained her angel wings on Friday 21st February 2014, leaving us completely devastated. She was just 2 years old. Caring Matters Now has supported our family through this tough time and we think it should be recognised. They work tirelessly to support those affected by CMN, raise awareness and raise funds for the vital research currently underway at Great Ormond Street Children's Hospital in London. On Holly's passing, Caring Matters Now shared her loss through their Facebook page and generated so much love and messages reaching 15,000 people from all over the world. Holly has had a massive impact on the lives of many and it is our aim that she will continue to do so. Please support Holly and Caring Matters Now by making a donation. Your support is so much appreciated. We have to find a cure. It has been a difficult and emotional two years since you took your last breath and your time with us ended. I see you often in my dreams and in your little sister. You would be almost three and a half and I wonder what you would be like. You are deeply missed. The loss of my son stays with me everyday and at times the pain is unimaginable. I will never forget you, Gavin Bailey. Evan was born 02/16/99 with a GCMN. Diagnosed with melanoma in 2007 he continued school until chemotherapy was too much when he began home schooling in 2010. A Renaissance Man, Evan loved music, art, math, animals, building, architecture and computers. In 2009 he won the Science Fair for his construction of a computer that powered 3 interconnected video monitors. Musically he played trombone, but really loved improvisational piano. A lifelong LEGO builder, he visited Legoland between rounds of chemo. His love of life, courage, perseverance and grace under pressure inspired everyone from professional soccer players to the volunteers who worked on creating Evan’s Garden – it is the site of a full scale building by his design. His frustrations were intolerance of stupidity, lying, selfishness and whining. But his greatest disappointment was people who gave up on him because they had given up on their ability to help him. Ever the optimist, he researched his condition up to his dying day, and he constantly challenged his parents to see the brightness of his hope during the most difficult of struggles. Evan means ‘Little Fighter’ in Welsh, but he is known for the big fight he gave melanoma. His journey of 6 surgeries and 4 rounds of chemo spoke to his will to live. On 08/18/12, as his body bore the brunt of the disease, he lay back in his mother’s arms as she cooled his forehead and let his father massage his feet as they sang songs of peace and love, prayed and read scripture. He passed into the peace he so richly deserved as his pain, anxiety, discomfort and torment were ended. Dafnis was born in 1998, covered with lots of nevi. Within a month, he went for surgery to remove as many as possible. 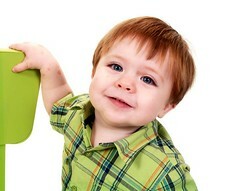 In his early childhood, he had four surgeries. After his third surgery, complications started to appear. He seemed allergic and developed eczema. He had problems breathing; no one understood why. We now understand that he had seizures, caused by NCM. He outgrew some allergies and his seizures. He became a joyful kid with a good sense of humor. At home we saw his other side. He struggled with his allergy (a dairy-free diet and being asthmatic) and neurological problems (a speaking disorder and problems with fine motor skills). He could become very angry over little things. We now know cysts had developed over the course of his life in his head and around his spinal cord. He never complained, but it must have caused him some kind of pain or tension. In January 2012, he came home from school nauseous and dizzy after sports class. It was the beginning of a six month battle against NCM. Even then, he didn’t lose his sense of humor. In July 2012, he passed away. His last wish was not to be forgotten. With love also from his siblings, Hugh and April. 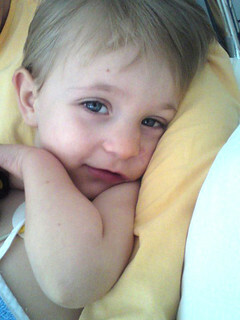 Ryan was born on 13 April 2009 and passed away on 3 Nov 2010. From the moment he was placed on my chest and I looked into his eyes, I could see he was a wise and trusting child. I also noticed some spots on his face, not realising he also had GCMN (bathing trunk). 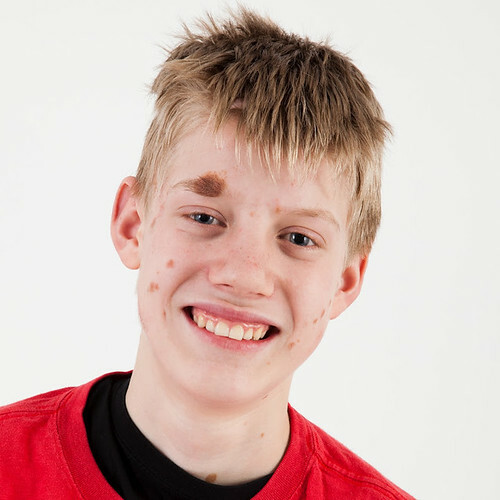 Ryan’s nevus covered a large area of his body, which included an abnormal genital area. This is one of the reasons why Ryan underwent some surgeries, as we were trying to make him comfortable and ensure that he would have a normal life, physically, mentally and sexually. Unfortunately, during one of his operations, a rare tumour called a melanotic schwannoma was found. 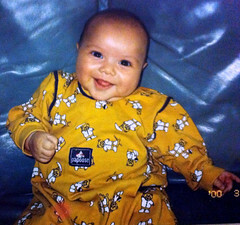 This is extremely rare and Ryan was the only baby ever to have been diagnosed. After being told he was ok, eight months later Ryan had a fall and was walking around on a broken leg. An MRI revealed he had terminal melanoma and he didn’t have long to live. 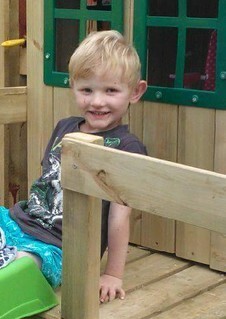 Ryan was such a happy and inquisitive child, loved the outdoors, getting into mischief and was always laughing. Even when he was sick, he never complained or cried. 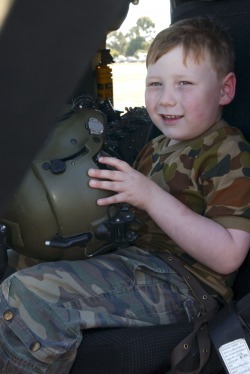 He was such a brave and strong little boy and full of life. We loved him dearly. 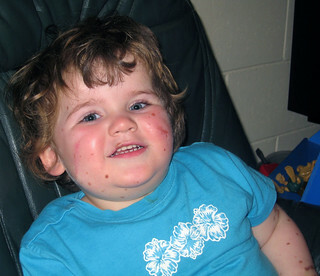 Our dearest Caitlin was born with congenital giant melanocytic nevus and neurocutaneous melanocytosis. A giant mole all over her body and hundreds of satellite moles with an added complication of moles inside her brain, requiring a shunt to relieve the pressure on her brain. 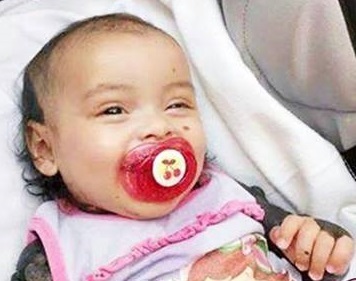 Once her body had adjusted to her shunt, she became a normal happy toddler, who was always crawling around with a mischievous smile on her face. She loved being outside and playing with her sisters and brother. At 18 months, Caitlin developed melanoma in her back muscle, and although this was all removed, 6 months later it travelled to her brain. We remember the great times we had with her on our holiday trips to the beach, to the farm, destinations in the North and South Island, her general love for life and her tremendous sense of humour. We miss her immensely and not a day goes by without us thinking of her. His mother, Brenda Bristow's testimony.